About two weeks ago I was taking an early numeracy class, I asked if anyone would be interested in a post sharing what I learned about helping young kids develop a sense of number. While nobody responded on that post, one reader did express interest on Instagram! 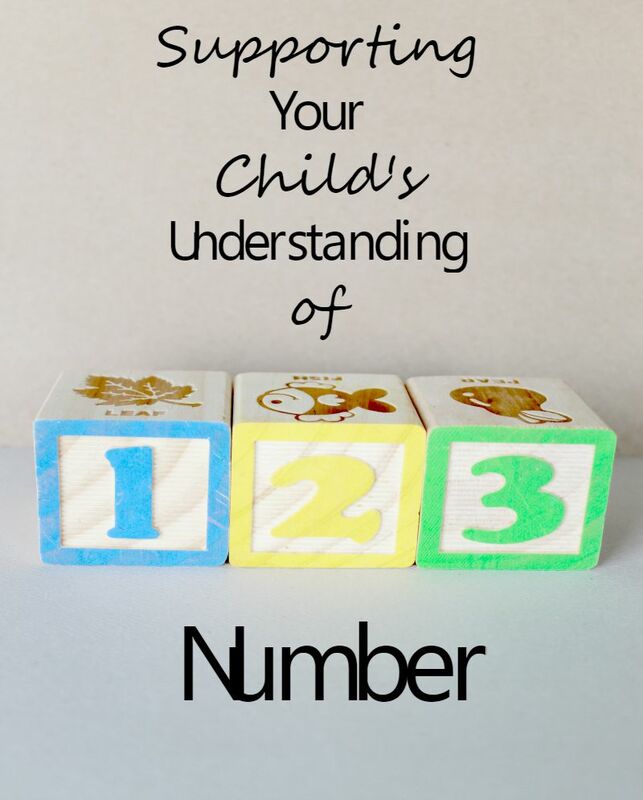 That was all I needed to pump out a post sharing some of the things I learned about helping young children develop a sense of number. *Count objects--ask child to count and encourage them to name the amount they counted-How many cars are there? 1, 2, 3, 4, 5. So how many cars are there? 5. *Count backwards. For students to understand the order of number, it's really important to have them count forward and backward. In addition, make sure that rhythmic counting (chanting the numbers) is supported by lots and lots of opportunities to count things. *Count two different kinds of objects in one bin/basket--for example you might have some blocks and some toy cars. Put a few of each in a bin/basket and have your child count all of the objects. Some children will count the blocks separately and some will count them altogether. Ultimately, when you ask children to "Count the items in the basket" you will want them counting them all. Some won't do this right away--that's fine, they just haven't developed a sense of item-irrelevance yet (the type of item does not change the amount of items in a collection). Keep giving them an opportunity to count and model correct counting. *Give your child objects to count and then change the order and ask them to count. Some children will count the same number, others will see a change in the order as a change in the number. Continue giving them opportunities to count and change the order--and model for them how to count once the order has been changed. I learned this in a K-3 class a few years back and am in love with the idea. 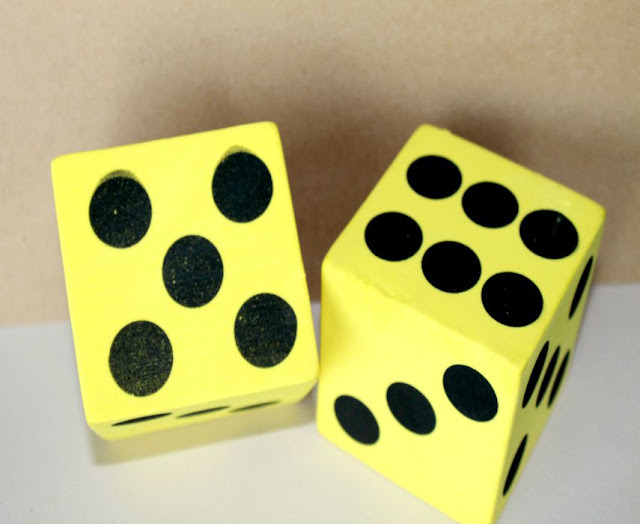 We all subitize-which means we see a collection of units and we're able to name an amount--like numbers on a dice. Often we can do this with larger patterns, too. We start to see three separate dots as a unit and then we can combine those units, "I see six because I see three and three." *Present the pattern and then take it away before asking how many there were. *A few minutes a day would make a big difference. While subitizing involves looking at a combination of units and naming a value, you also want students to take individual units and combine them (compose them) to make a given value. For example, you might encourage a small child to find all the possible ways to "make 10" or even "make 5." You can support this by giving them the set amount of objects and then giving them a scenario. If I have ten blocks and two baskets, what are all of the different ways I can split the blocks up between the two baskets? Never just let them show you, always encourage them to explain. You'll want them to try as many possibilities as they can. You can do this with any number set. Schools/educators tend to focus on 5's and 10's but it's importatnt to allow them to explore ways to compose all kinds of numbers. This experience not only leads to an understanding of addition and subtraction, but supports ideas in algebraic thinking as well. (You only know the total, but you don't know the addends--thinking openly like that at a very young age is powerful). In my class last week, the focus was on early numeracy--PreK-3rd grade was the grade band focus of the class. Yet, we worked through multiplication and division of fractions. Those things aren't covered explicitly in those grades--obviously--yet so many of the things that we learned to support early number development build the foundation for being able to understand the multiplication and division of fractions--it's crazy. All I can say is--start early, give lots and lots of opportunities to count and work with numbers, and take your child's ideas seriously--start with their thinking--you'd be amazed at how far that will take you. Your children and your children's teachers will thank you later! Did you struggle with math as a child? Do you have apprehensions about your child understanding/succeeding in math as they enter school? (I'm really passionate about math education--specifically Common Core Math and mathematics reform in education--I'd love to do more posts if there is an interest).